Cypress Lake waterfront, water access and a way of life. Cypress Lake is a 21.5 acre subdivision nestled on the confluence of Tranter’s Creek and Mitchell Branch just off of the mighty Pamlico River west of Washington, NC. 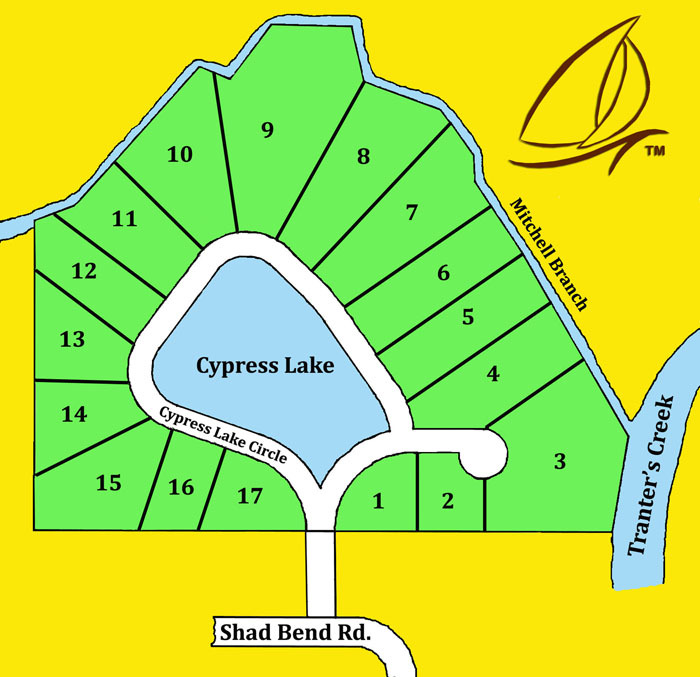 The subdivision consists of only 17 lots all surrounding Cypress Lake. Lots sizes range from half acre to little over 1 acre. Each property is level, lightly wooded with high elevations. Utilities include underground electric, phone and cable with private well and septic. Cypress Lake offers great boating and fishing opportunities too! All residents have boat ramp and water access at Tranter’s Creek which leads to the Pamlico River and Pamlico Sound. Each property has protective covenants with a 1900 square foot building minimum. Cypress Lake is 15-20 minutes from Greenville and just a few miles from Little Washington and big water access. How many developments offer pond front views for every lot in the subdivision and navigable waterfront and water access to deep water? All of this is designed to create a very affordable home site package. Cypress Lake large waterfront lot prices start from $79,990. For maps, directions, prices and more information contact us today.